The poet Emily Dickinson's reputation is that of a poetic, reclusive spinster - a delicate wallflower, too sensitive for this world. 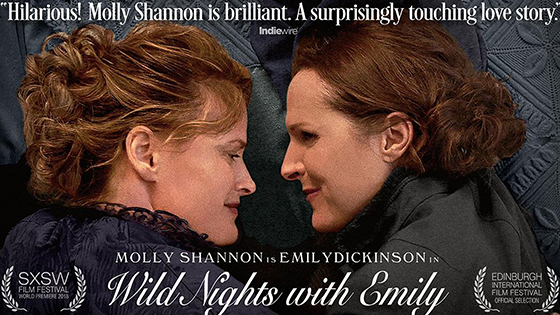 In Wild Nights with Emily, we get to see the vivacious, irreverent side of Emily Dickinson that's gone unexplored for decades. This whimsical film brings a humorous touch to Emily's life, including her romantic relationship with her sister-in-law, Susan. The humor doesn't stop with her death, either, as we see her brother's mistress, Mabel, host a book club about Emily's poems and create the prevailing image of the hopeless spinster. Impeccably researched and delightfully communicated, Wild Nights with Emily shows us a truer version of the woman than ever seen before.